To be in good condition, sofas should be cleaned professionally more frequently. They are exposed to a lot of dust and grime every day so, cleaning them regularly is important for their good maintenance. We offer high-quality sofa cleaning which is done in accordance with the sofa’s fabric. Delicate fabrics and leather sofas will be dry cleaned, while other types of upholstered furniture will be steam cleaned. Your sofas will have their originally bright and shiny colours if you let our technicians sanitise them and remove the dirt which they have gathered. The sofa cleaning which we provide in Chiswick W4 is effective and has long-lasting effect. We can sanitise the sofas in your home, office, hotel and other property. Our cleaning specialists will apply the most appropriate cleaning procedures to completely restore your sofas. The dry cleaning will be implemented on sofas, made of leather, delicate fibres and such which shouldn’t be wetted. It is done with the help of dry foam or powder and dry cleaning machines, that extract the dirt and dust. Steam cleaning is performed with hot water and cleaning solution with the help of specialised machines. They cleanse the sofa fabrics in depth and extract all allergens, dust mites, dirt and grime. In the end, all sofas are deodorised and nicely scented. 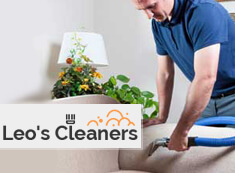 Use our professional help and order the sofa cleaning in Chiswick W4 and the neighbouring areas. All sides, backs and cushions of your sofas will be sanitised and refreshed by our qualified cleaning technicians. 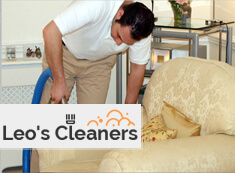 They are at your disposal any time in Chiswick W4 to provide the upholstery cleaning which you need. Our services are suitable for sanitising and refreshing couches in domestic and commercial estates.